It's Perfect Picture Book Friday and I have an oldie but a goodie to share. Are You My Mother? was first published 57 years ago! I discovered it early in my teaching career and read it many times over the years. OPENING: "A mother bird sat on her egg. The egg jumped. "Oh oh!" said the mother bird. "My baby will be here! He will want to eat." SYNOPSIS: This is a very sweet story about a newly hatched baby bird who cannot find his mother. He decides to look for her and on his quest for mama he asks all sorts of unlikely creatures and machinery if they are his mother. WHY I LIKE THIS BOOK: It's a true classic. The illustrations are charmingly simple and to the point. The story is heart-warming and funny. My classes of 6-year-olds always laughed when the baby asked a cow, a dog, a kitten, a chicken and even a boat and an airplane if any of them were his mother. When you're six, THAT'S comedy! 1. 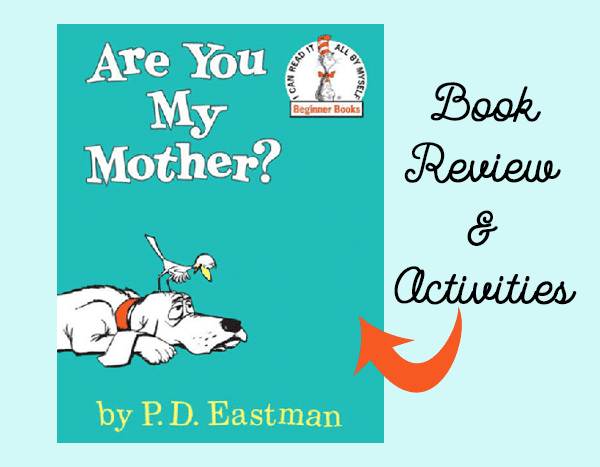 You-Tube Video from the Storybook Nanny. 2. 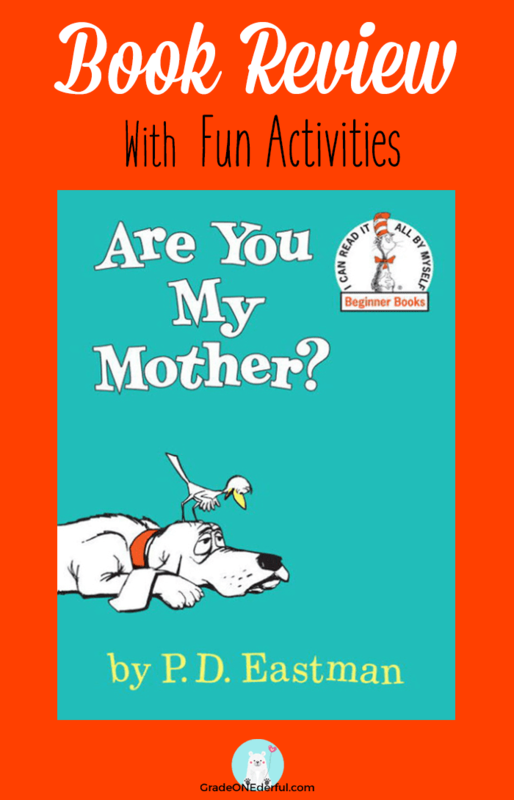 Have your students write a Question/Answer book. For example, depending on their age, they could copy the following from the board or you could give them a photocopy and have them fill in the blanks. "Are you my mother?" he said to the ____. "I am not your mother. I am a ____," said the _____. I promise your students will enjoy choosing their own creatures/inanimate objects to write in the blanks. Have them illustrate a little picture to go with the question/answer and if time allows, have them write several renditions. Be sure to give everyone a chance to share their silly stories with the class. This is a picture of a Mother's Day card my kids made a few years ago. But I think it would also be a great follow-up art activity. 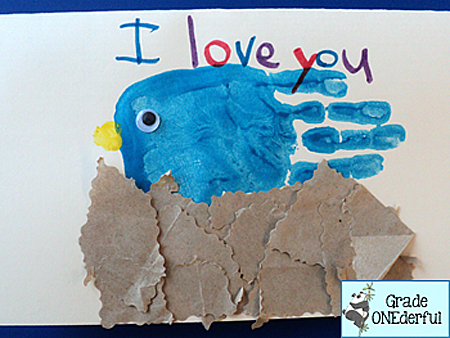 It wouldn't need to be a card, and of course the kids could paint in the mother bird, too! 4. Circle Stories: This type of text is often called a circle story, because the characters go on a journey of sorts and then circle back to the beginning. Rosie's Walk by Pat Hutchins is a good example of a circle, or circular story. You can also find more examples here. 5. Story Guide: I found a great story guide that includes all sorts of pre, during and post activities for the book, including some little paper puppets for retelling. (It's a little slow to load, so be patient). Okay, that's it! I hope you enjoyed the review and resources. Please leave a comment if you found it useful. one of my favorites! Great activities. Mine too! Thanks for stopping by, Sue.